Dead laptop and desktop computers. Our charges for hard drive recovery are very reasonable and we offer a NO DATA – NO CHARGE guarantee. One of our clients in Wimbledon called us for data recovery from hard drive of her faulty laptop. She had a Dell Precision M6500 laptop that had recently stopped booting up to the Windows. She brought the laptop from Wimbledon to our repair centre for repair and data recovery. We diagnosed the laptop and found out that the faulty hard drive was the main culprit. We advised the customer that the hard drive needed to be replaced in order to fix the laptop. She was OK with that but desperately wanted her data from the old hard drive. We put the faulty drive to our data recovery machine and managed to extract most of her data. We then transferred the recovered data to the newly installed drive in the computer. The client from Wimbledon got her computer back with everything back as it was in the old one. 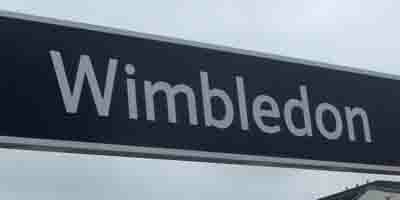 Another satisfied customer from Wimbledon!